believe (or have the open mindedness to believe) that birth can be a positive experience. Then we would love to hear from you about becoming a DaddyNatal Educator. DaddyNatal educators train over approximately a 6 month period. Your training programme will include direct teaching from DaddyNatal founder and pioneer Dean Beaumont. In addition to this, there will be continuous online support throughout your training from the DaddyNatal team at HQ, and you will be expected to complete teaching training sessions and a portfolio. 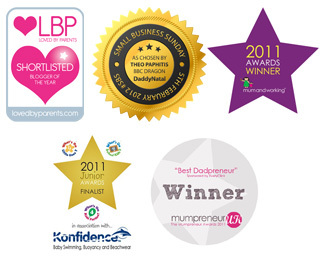 Joining the DaddyNatal Network also means access to all our teaching resources, branding and our support. Our training and licence fees are kept as low as possible, making gaining a new qualification and launching a father family friendly career, a real possibility. To find out more about becoming a DaddyNatal Educator, please contact dean@daddynatal.co.uk for more information. I am a student midwife at The University of Manchester. I am currently writting a dissertation on antenatal classes specifically for men. I would really appreciate some more information on your classes, regarding the interest you recieve from men, their feedback and support from the local midwives in advertising your course. If you are aware of any similar classes in Manchester, I would be grateful if you could inform me as I can not seem to find any.